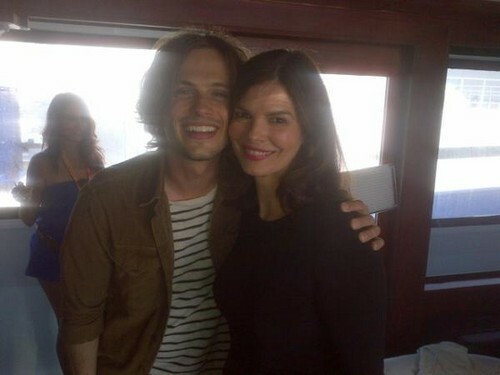 Matthew & Jeanne Tripplehorn. . Wallpaper and background images in the 크리미널 마인드 club tagged: criminal minds matthew gray gubler jeanne tripplehorn comic con. This 크리미널 마인드 photo might contain 신사복 and 비즈니스 정장.